The ports of Saint-Quay-Portrieux, Loguivy-de-la-Mer and Erquy are all renowned for their scallops, and so it falls to them, every year on the last weekend in April, to organise a festival in honour of the queen of the seas. 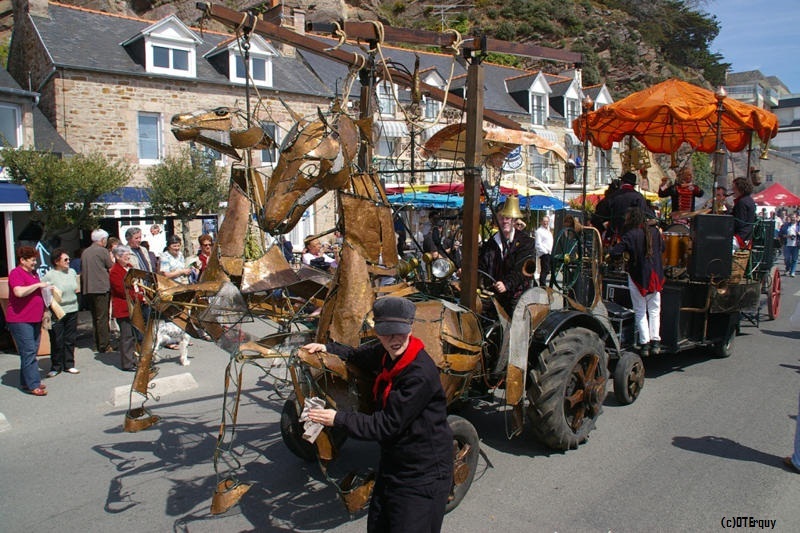 The festival programme includes fishing-trips, concerts, street theatre and tastings. Three days of scallop-focused feasting… That has to be a must! About 10 miles off the south coast of Finistère, the “Iles de Glénan” is made up of nine main islands and various islets, in the middle of a lagoon renowned for its turquoise water and the whiteness of its sands. Only accessible in summer, this little paradise described as the ‘Breton Tahiti’ is best known for its sailing and diving schools.